LLANDOVERY CASTLE (2) was built in 1925 by Barclay, Curle & Co. at Glasgow with a tonnage of 10640grt, a length of 471ft 1in, a beam of 61ft 6in and a service speed of 14 knots. 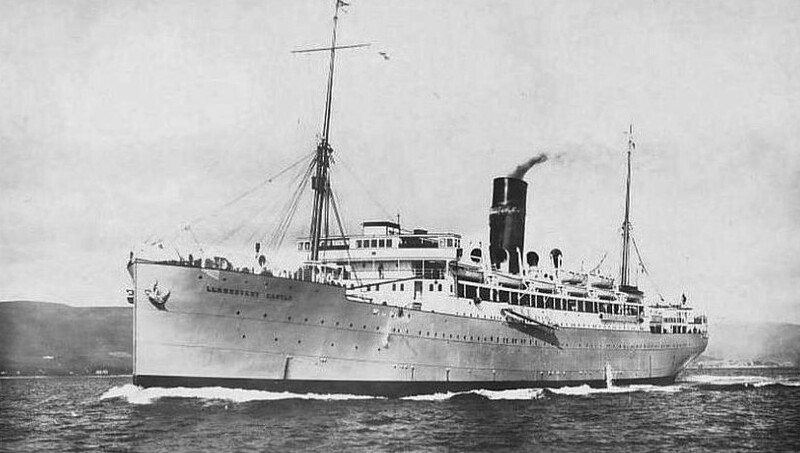 She commenced operations on the Round Africa service on 25th September 1925. In 1937 during The Spanish Civil War she struck a mine 2 m iles SE of Cabo Creus while bound for Marseilles. With her two forward holds flooded she put into Port Vendres for temporary repairs that were later made permanent at Genoa. In September 1940 work commenced to convert her into a hospital ship but in the November was badly damaged in an air raid. 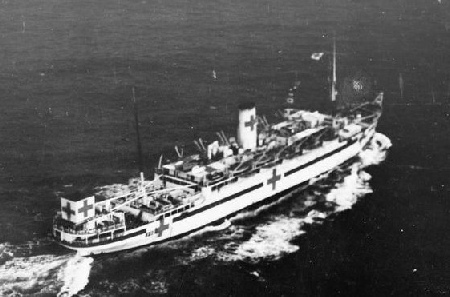 The conversion was eventually completed and she resumed service in May 1941 with 450 beds and 89 medical staff as HMS Hospital Ship No.39, the only Union-Castle ship used in that capacity in WWII. Her first role was to support the East African campaigns in Abyssinia (Ethiopia) and Eritrea and in November 1941 suffered bomb damage whilst at Suez. In April 1942 she exchanged 917 seriously wounded Italians for 129 British, an operation that nearly failed as the Italians wanted a 'one for one' exchange to preserve their dignity. 1943 saw her ferrying along the North African coast between Alexandria-Tobruk-Benghazi, and in July of that year, as a hospital ship, supporting General Montgomery's 'Operation Husky' assault on Sicily at Syracuse and Augusta. 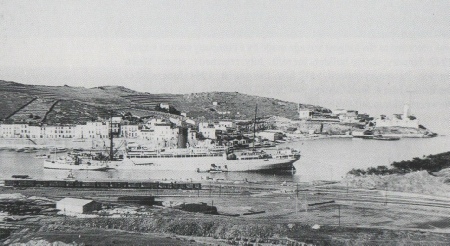 In 1944 after D-Day and the capture of Cherbourg she sailed into that port to evacuate casualties and in 1945 engaged in more general duties including repatriating Canadian wounded to Halifax, Nova Scotia. During her wartime service she carried approximately 38,000 wounded and steamed some 250,000 miles. She returned to the Round Africa service in May 1947 and completed her last voyage in December 1952 to be broken up in March 1953 at Inverkeithing, Scotland by Thomas W. Ward for the British Iron & Steel Co.